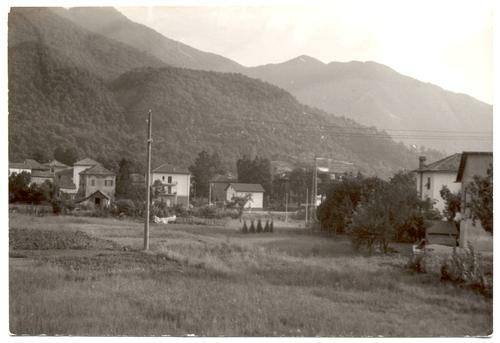 Houses and buildings with mountains in the background. 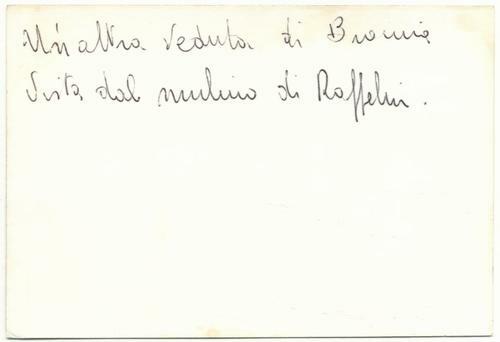 Handwritten note on back suggests this is a view of Bormio, Italy, and probably the Italian Alps in the background. This photograph measures approximately 5 x 3-3/8 inches. It has only minor corner and edge wear.